How Hard Is It to Quit Ecstasy? Some Ecstasy users develop patterns of use that resemble addiction.4 These users may have a hard time stopping their use of the drug without professional help. It’s never easy to admit that you have a problem with alcohol or drugs – yet admitting the problem is the first step in the recovery process. Denial is one of the most common avoidance techniques used by people with addictions. Breaking through the denial and seeking treatment can provide a number of benefits to Ecstasy users and their loved ones. Improved mental and physical health, due to a reduction in the negative effects of Ecstasy on the brain and the body. Regaining a sense of control and normalcy in everyday life. Rebuilding a sense of self-esteem and confidence in one’s abilities. Improved and perhaps more meaningful relationships with family, friends and other loved ones. Developing proper social boundaries and realizing that one doesn’t need a drug to open up to others and have fun in a “real” way. An increased likelihood of keeping a stable job or staying in school. CBT is available in a number of settings, including inpatient, outpatient and individual counseling. Inpatient treatment: Inpatient treatment can be either short- or long-term, lasting several weeks to several months. Facilities vary in what they offer. They can range from luxury, premier, resort-like residential treatment centers with private rooms and a host of amenities (such as gourmet meals, spa treatments and access to personal trainers) to less exclusive, inexpensive facilities where residents may need to share a room and have fewer options for comfort and luxury. Outpatient treatment: Outpatient treatment is an option for those without the time or resources to devote to an inpatient stay. But it may be less effective for those who suffer from a more serious addiction. Outpatient treatment may involve different types and lengths of treatment. In general, treatment ranges from intensive day treatment, where a person attends treatment several hours per day, up to 5 (or more) days per week, to less intensive options, where a person may only attend treatment once or twice per week. Group counseling: Group counseling is often a part of inpatient and outpatient treatment, but some people may use it as their sole form of treatment. Group counseling may occur once or several times per week under the direction of a licensed substance abuse counselor or other qualified mental health professional. Individual counseling: Like group counseling, individual counseling is usually a part of both inpatient and outpatient treatment, but some people choose this option as their primary form of treatment. Individual counseling is a one-on-one form of talk therapy that helps people gain insight and provides support during the recovery process. 12-step programs: Also typically a part of inpatient and outpatient treatment, 12-step programs are used by recovering drug and alcohol users to help them stay connected with and obtain support from others. These programs are based on the original 12 steps of recovery developed by Alcoholics Anonymous. Dual diagnosis: Many people who abuse Ecstasy also abuse other drugs and may suffer from a mental health issue such as depression or anxiety. Dual diagnosis treatment centers use integrated treatment plans to address both conditions at the same time, which can decrease the risk of relapse. Sober living environments: Also referred to as halfway houses, these facilities are structured, usually privately owned or charity-operated facilities that help people make the transition from a treatment facility to everyday life. Residents follow certain rules and live in a semi-structured environment. 12-step meetings: Many recovering addicts choose to participate in 12-step meetings after they complete a treatment program to receive comfort and strength from the supportive atmosphere of these programs. Outpatient counseling: Continuing outpatient counseling, usually on a weekly basis, helps provide support and offers recovering Ecstasy users a safe place to talk about their day-to-day struggles in a confidential, nonjudgmental atmosphere. Other support groups: Support groups, such as those run by Secular Organizations for Sobriety and SMART Recovery, are often useful for those who are not comfortable with 12-step programs or who prefer a different approach. Depression or other mood changes. Difficulty with concentration or memory. How long the person abused Ecstasy. Whether the person used any drugs with Ecstasy. Whether the person has any co-occurring mental or physical health issues. Other factors, such as age or physiological makeup. 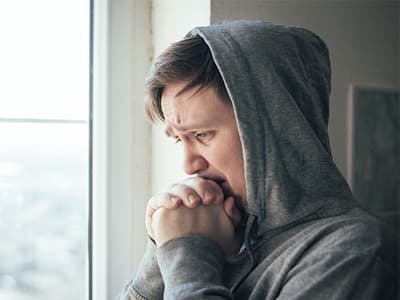 Some of the risks of withdrawal might include an increased need to take more Ecstasy or an increased craving for other drugs (such as alcohol, marijuana or heroin) to help fight withdrawal symptoms. Seek medical treatment if any of the aforementioned withdrawal symptoms occur. Entering an inpatient facility is one of the best ways to help deal with and manage withdrawal symptoms, since medically supervised detox is usually a part of this form of treatment . Understanding the reasons for using Ecstasy and the triggers for use is crucial. Quitting Ecstasy isn’t easy to do alone. As with any addiction, it’s important to find the right type of support and to obtain professional supervision to have the best chance of success in recovery. People might think they can stop whenever they want, but the reality is that this is often much harder than they think. Additionally, relapse is common and can be frustrating and disheartening. A qualified treatment center can provide education about relapse prevention so users know how to identify warning signs and cope with them. Further, recognizing the reasons for using Ecstasy in the first place, and understanding triggers for use, can be among the most crucial aspects of successful recovery. Working with addiction professionals is often an effective way to gain this insight. Who Answers? to learn more about Ecstasy recovery centers near you. A rehab support advisor can confirm your insurance coverage over the phone. If someone you love is struggling with an Ecstasy abuse, it’s natural to want to help in any way possible. However, remember that you are not a counselor and it’s not your job to diagnose or treat the person. Try not to approach the person in a confrontational, judgmental, angry or threatening manner. You might mean well, but your efforts may backfire if you take any of these approaches. Instead, try to come from a place of genuine love, care and concern. Putting yourself in another’s shoes and imagining how you would like someone to approach you if you were struggling with an addiction. Avoiding criticism or lectures. Most likely, whether the person wants to admit it or not, deep down there is recognition of the problem, and the last thing the person wants is to be lectured to, criticized or told what to do. Coming from an “I” standpoint. Let your loved one know how you feel when you see the suffering, instead of attacking and being accusatory with “you” statements. For example, say, “I am concerned about your Ecstasy use” instead of “Your Ecstasy use has to stop.” Avoid ultimatums. Letting your loved one know you will offer support at every step of the way. Offering to help locate a professional treatment center. At this time, Ecstasy is not known to be as addictive as other common drugs of abuse. So it may not be as difficult to quit as heroin or cocaine. That said, some people may have a hard time stopping Ecstasy use, especially if they have become dependent on the drug as a social lubricant or as a way to reduce inhibitions. It can seem much easier – despite the risks – to take Ecstasy to help combat these fears instead of facing them head-on. And because Ecstasy is a “feel good” drug that causes feelings of euphoria and empathy, it can be difficult to imagine life without the pleasure associated with it. What’s more, some people experience depressive symptoms when they stop using Ecstasy and may have a higher risk of experiencing suicidal ideation – especially if they are already prone to depression or other mental health problems. Quitting the use of Ecstasy or other drugs, and getting help for any other issues surrounding an addiction, can seem hard at first. But it’s definitely possible with the right care and support. Call 1-888-319-2606 Who Answers? today to speak to a treatment support specialist about how to find the right treatment facility for your needs. A specialist can provide you with local treatment recommendations based on your insurance coverage. If you don’t have insurance, the Substance Abuse and Mental Health Services Administration’s helpline (1-800-662-HELP (4357)) can offer referrals to programs and support groups that provide treatment to people without insurance.
. U.S. Drug Enforcement Administration. Drug Scheduling: Drug Schedules.
. National Institute on Drug Abuse. (2016). NIDA for Teens. MDMA (Ecstasy or Molly).
. National Institute on Drug Abuse. (2006). MDMA (Ecstasy) Abuse: Are there effective treatments for MDMA abuse?
. National Institute on Drug Abuse. (2006). Is MDMA Addictive?
. National Institute on Drug Abuse. (2016). DrugFacts: MDMA (Ecstasy/Molly).